There’s trouble at the Carnival, so the PAW Patrol pups are on the case! Trace along with them as they race to the rescue! When the Kitten Catastrophe Crew starts causing trouble at the Adventure Bay Carnival, it’s up to the PAW Patrol to save the day. 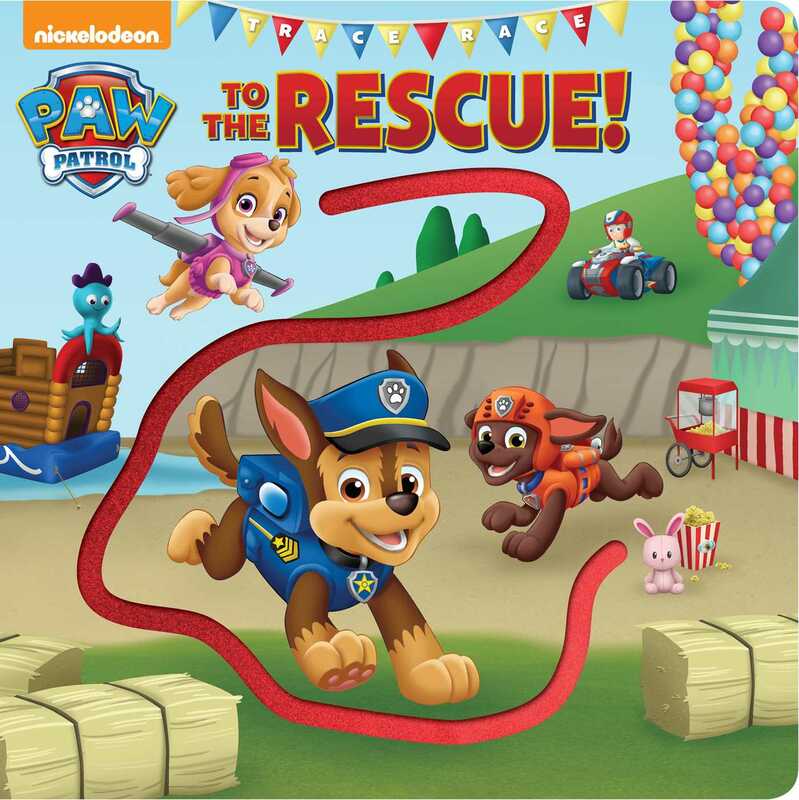 This book includes a die-cut path so PAW Patrol fans can move their fingers along with their favorite PAW Patrol pups and be a part of the rescue! Book Cover Image (jpg): PAW Patrol: Trace Race to the Rescue!